Perhaps I should mention that I spent the entire morning ironing my collared blouse for three times straight. To be honest, I was very wary of the dress code and decided to opt for the safest option- a collared blouse, a pair of black slacks and black flats with buckles. I was too nervous to eat much for breakfast. Why was I nervous? I was nervous because days before the internship, Mum had bombarded me with lectures about how PR was the most important thing when you step into the working world and I’m not saying she’s wrong because she is right but the truth is I am a hopeless crackhead when it comes to communications and interactions with other human beings. Will the other interns like me? Will the officers like me? Will Anne and Jeannette (the masterminds behind Stuff@School) like me? After all, I’m just this strange kid from a tiny town someone from camp three years ago used to mistake as being in a different state thousands of kilometers away from its actual location (“Oh, Alor Setar, is that in Sarawak?“) with a different mentality from the local people here. Of course, there is always the easy solution of just being myself but apparently, just being myself means being awfully crappy at interacting with people and then my Mum’s lecture would start to resound in my head and all these would just go round and round in my head, taking away my appetite with it. 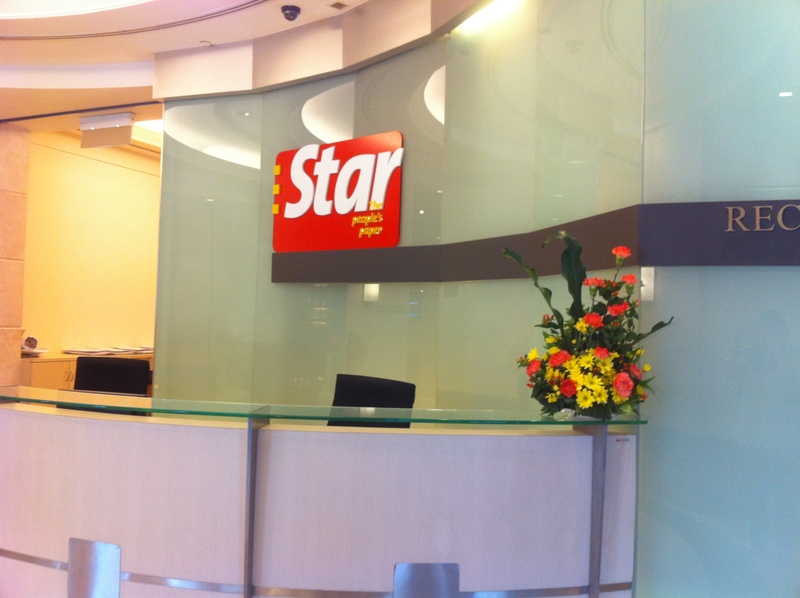 It was the first day, so Dad agreed to fetch me to Menara Star and Mum also agreed to accompany me, at least to the lobby. 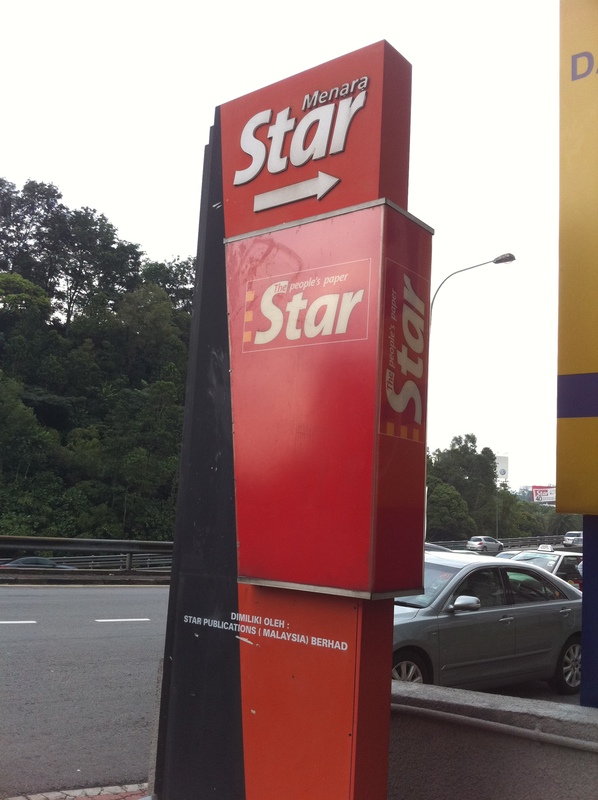 I reached Menara Star at around 8.45 AM which, I would later find out, was super early because Jeannette, who we were supposed to be reporting to, wasn’t even in yet. So I waited at the waiting lounge to find out Vincent was already there, reading. 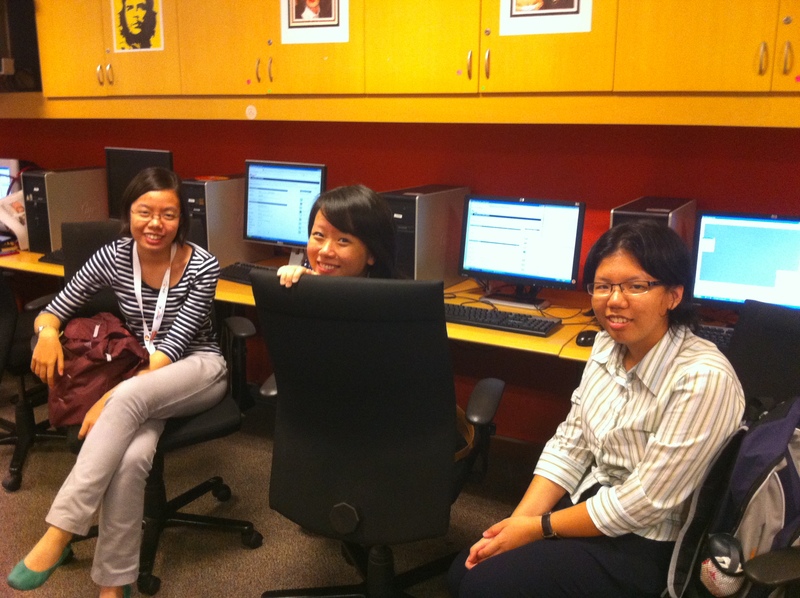 (The first batch of interns consisted of five people: me, Quah Paik Suan, Lee Min Hui, Claire Tan and Vincent Hoy.) It was a sort of awkward moment because the first time I saw him I had no idea who he was so I just sat down in a chair two seats away from him until a security guard came up to both of us asking what was it exactly we were here for and I found out he was here for the Starstruck! internship too and oh, it was Vincent Hoy. We introduced ourselves to each other then and soon, Paik Suan arrived and there goes another round of introductions. Claire arrived shortly after that and after the third round of introductions, Jeannette arrived and led us to Level 13, Human Resources department, where we were brought to a mini meeting room and a staff named Kayetri gave us internship forms to fill in. Min Hui arrived after that and after completing the forms, Anne Barbosa appeared to take us to Level 3A, Education department. There, we were welcomed, briefed and given cafeteria coupons. Then, we had lunch at the cafeteria at Level 2 called “Star Byte” (which is pretty ingenious, if you ask me). Paik Suan, Min Hui and Claire. Newdesk department. 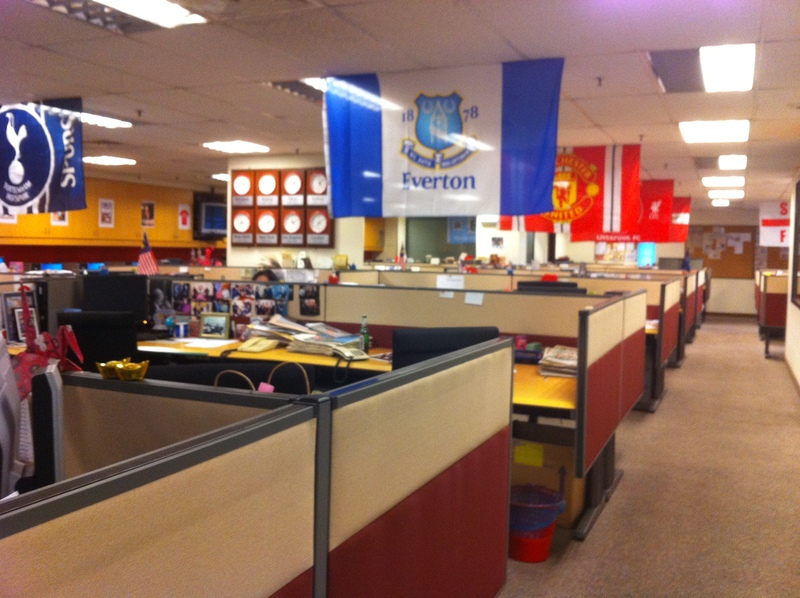 Full of flags of football teams because according to Mr Devid, "A lot of staff here are football fanatics." After lunch, we hung around at Edu before Anne brought the four of us (me, Paik Suan, Min Hui and Claire; Vincent would be in Features for the first week) to Newsdesk to meet our OC for the day, Mr Devid Rajah. It appeared that our arrival was quite spontaneous so we did nothing except hang around the computer terminals until evening. At 5, Hoon Jie Jie picked me up and I had dinner with my parents, San Ku and Xiao Ku at Taman Tun. Strange analogy, but great, relatable words, I have to admit. When we were brought around Newsdesk, we were also frequently introduced as “the new slaves” (but in a joking manner, of course) so you can understand why I used the term ‘strange’. All in all, it was a great day and all I hope for is a greater day tomorrow.